The life of Sister Patricia Tomlin, who died on August 27, 2018 was celebrated with a Mass of Christian Burial at Saint Joseph Villa on August 30. Sister Patricia was born to Mildred and Monroe Tomlin in Norwood, PA on October 26, 1946, one of three children. Her younger brothers, Drew and Harry completed the family. The family moved to Wildwood Villas when she was a child. 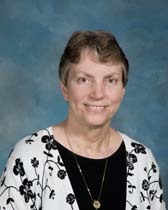 She attended Our Lady, Star of the Sea Elementary School and Wildwood Catholic High School and entered the Sisters of Saint Joseph in 1964. Sister Pat’s work was devoted to education in schools in Philadelphia,, Maryland and New Jersey during the first twenty years of her ministry. After receiving a Master’s degree from Boston College, she served in religious education and in social work. In her eulogy of Pat, Sister Eileen Marnien, noted the three loves of Pat’s life—her family, the SSJ Congregation and her patron, St. Therese of Lisieux. Her love of her family was evident in the many stories she told of her loving parents, her happy childhood growing up at the Jersey shore. She dearly loved her little brothers, Harry and Drew, and that bond grew stronger throughout her life. It certainly completed the picture to have both brothers with her in her final days. She, in her gentle determination, waited with Drew and his wife, Donna, for Harry to arrive from Germany before she went home to God. Pat’s second love was the Congregation of the Sisters of Saint Joseph; for 54 years Pat embraced our mission and committed herself wholeheartedly “to live and work so that all people might be united with God and one another”. Pat’s friends are quick to speak about Pat’s goodness, her simplicity, gentleness, prayerfulness; she loved people and was very much about relationships. Pat’s third love was her patron, St. Therese of Lisieux, with whom she had a special, spiritual relationship. She legally changed her middle name so that “Therese” would, in fact, be her official middle name. And the litany of Pat’s goodness seems to mirror that of St. Therese. Finally, we know that St. Therese promised to “spend her heaven doing good on earth”. You cared for many in during your lifetime, Pat; we pray that you continue to care for us in death.